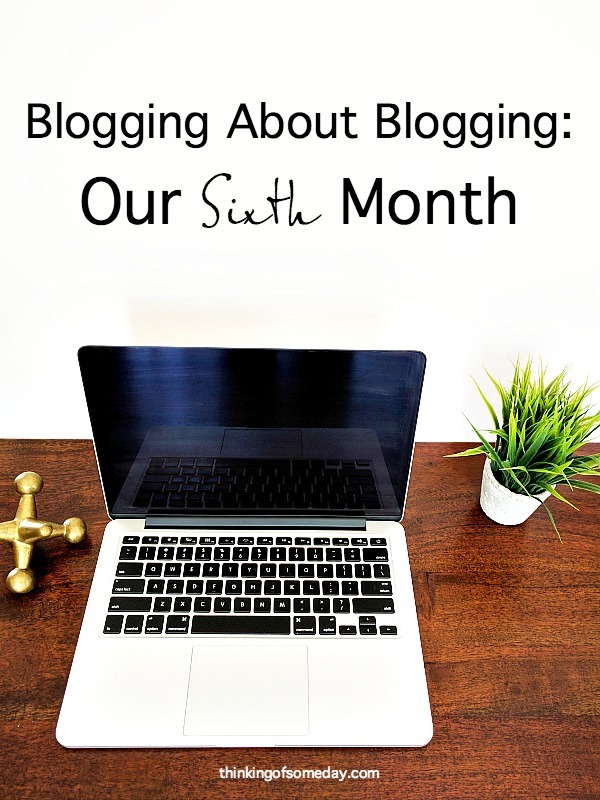 Can you believe that we’ve already reached (and almost passed) our sixth month of blogging? We can’t, and so we’ve decided to share our sixth month update. We’ve had some exciting things going on since the last blog update . In July we had the pleasure of doing our first podcast interview with Talaat and Tai of His and Her Money; it aired in August. If you haven’t already, you can check it out here. We also joined Rockstar Finance, which is basically a directory of blogs that cover some of everything under the sun in regards to finances. I’ve come across some pretty interesting reads from the directory. So if you’re looking for other blogs to check out, they have over 1200+ listed. And in case you haven’t noticed, we’ve made some slight changes to the blog. I’m doing my best to not buy a new theme so I try to find little ways to update the one we already have. I removed the triangle banner that was at the top; we never really liked it to be honest. 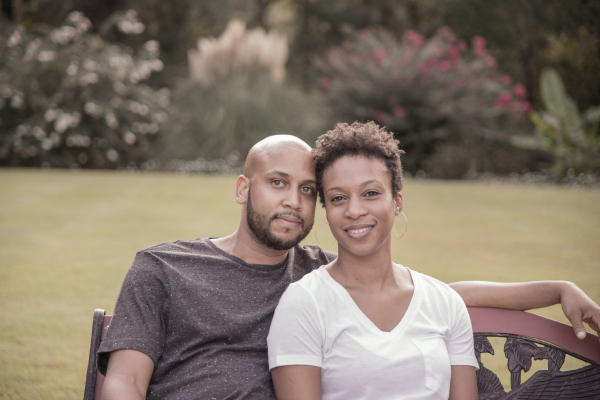 And thanks to Twisted Logic Photo, who took some great family pictures of us, I decided to update the pictures of us on the blog. Lastly, I decided to update our About page. When I was on Instagram I realized that we never shared that much of our story on there. Yes, we share it all throughout the blog posts that we write, but not as concisely in one place as it is now on the About page, which you can check out here if you’re interested. Usually, I just write the blogging update posts for both Omar and me, but this time I decided that I would actually ask more of Omar and exactly how he feels after our sixth month of blogging. Blogging has still been nice for the most part. I’ve had to adjust my expectations of blogging itself over time. It would be nice to make money from the blog one day, but for right now it’s a hobby. And that’s OK because we started this blog to help people and share our story and ideas in regards to personal finance. I’ve also had to change my expectations and realize that we’re not going to change the mind of those who aren’t seeking to do better with their finances. This stuff is more so for the people who are seeking the knowledge to do better. And it’s been great helping them and encouraging them, especially the ones that have reached out to us personally. The main reason why we started the blog has continued to be validated. It’s been great connecting with people on Twitter and reading other people’s blog posts as well as learning from them. It’s great connecting with people who want to get to financial freedom as much as I/we do. Every so often Omar and I will check-in with one another to see how the other feels about blogging. Just recently, I thought everything was good. Our stats are increasing, we continue to get good feedback, and we seemed to be enjoying it. Or so I thought. Omar already mentioned that he had to change his expectations. But during that conversation, for a minute I thought he was going to quit blogging. I told him that I didn’t want to run the blog without him, but if that’s what he wanted to do… Then I’d quit to. After our discussion and him realizing that he needed to refocus his expectations, especially since we have lives outside of this blog, he decided not to quit. Besides, I wasn’t going to let him quit that easily! I’m seeing more and more that personal finance is something that you can always learn more about and there are definitely many different views. When I have the time I try to check out other people’s blogs and social media accounts. However, all of this is still a bit overwhelming at times because I just don’t see how people have the time to blog, get on social media, work, and take care of their kids if they have any. It doesn’t help that I can be a bit of a procrastinator. Given the fact that I’m trying to juggle all of the above, maybe that’s why. Or it could just be an excuse. Haha. But all of this is why we’ve decided to continue to publish new posts on Tuesdays instead of Mondays (in case you haven’t noticed). It gives me one more day to procrastinate get everything done and still enjoy the weekend. We’re going to continue on this roller-coaster of a ride that we call blogging. It’s been a challenge, but we’re determined to see it through for at least a year. Besides, we’ve already paid for it! And we’ve already made it to our sixth month. So why quit now? We continue to appreciate the support and feedback, which brings us to something that keeps subtlely (or not so subtlely) coming up. It’s been asked and/or suggested a time or two or three if we’ve ever thought about doing YouTube videos. The first time it was mentioned, we laughed. We had never thought about it. The next couple of times it was mentioned, besides laughing, it made us wonder if we should or shouldn’t do it. We know sometimes people don’t have time to read or they simply just don’t want to read, but wouldn’t mind listening to audio. At the moment we don’t know if we’ll ever do YouTube videos or maybe even a podcast, but if we decide to… You’ll be the first to know! So tell us, are there any personal finance topics that we haven’t covered that you would like for us to cover? In regards to YouTube videos or a podcast, do you prefer to read content or to watch and/or listen to content? Let us know below!